I have a good and multi-talented friend—a prolific author, therapist, and multi-faith preacher—Stephanie Dowrick. Many of you will have read her books. My favourite of hers is Forgiveness and other Acts of Love. It’s as inspirational as she is. In late 2014 Stephanie sent me the YouTube clip of a homily she had delivered a few days before. Its message was that if you have a talent you should be using that talent—that’s why you were given it. It struck home. I hadn’t written a word for ten months. It came. 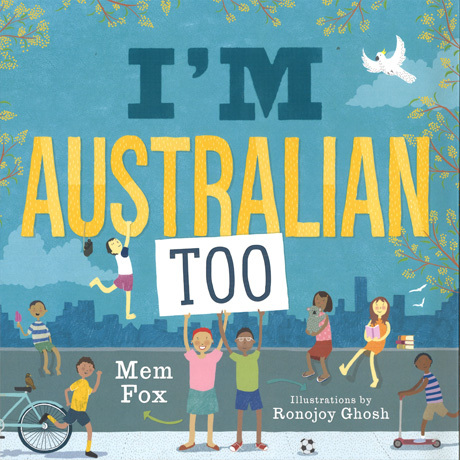 I was listening to something ghastly about our immigration system, and I found myself reflecting on the less-than-positive attitude we have always had to newcomers in Australia. Weirdly, in spite of that, because our basic national character is one of such magnificent, open warmth and friendliness, and ultimate acceptance—we end up living as the most harmonious multi-cultural country in the world. Go figure, as they say. They also contain a scream on behalf of refugees, and a longing for a kinder Australia—the country we used to be, before high-profile racists in politics and the media were granted the power to make heart-breaking decisions and speak detestable words against many of the decent, inspiring people who populate this beautiful land.